SOILapp: An app for famers to share their observations on soil health and inform decision-making on soil fertility. Agro ecological farmers need to take long term decisions around soil fertilisation and maintaining soil health. They need to forecast the effect of fertilisation on soil health and therefore on the sustainability of the production. This requires more frequent – and therefore easy and low cost – analysis of the soil. After a period of exhaustive consultation and observation with farmers the CAPSELLA ICT and agronomy experts developed SOILapp an open access web and android application for self-assessment of soil quality. It provides farmers with an intuitive way to upload, view and share observations on their soil health and receive support on decision making. SOILapp draw on users’ own data shared from observations, Open data on soil and weather data from available open data sources, and proven soil health models. Soil health (the holistic concept of chemical, physical and biological soil fertility) determines the continued capacity of soil to function as a vital living ecosystem that sustains plants, animals, and humans. Farming systems designed and managed according to ecological principles aim to minimize the use of external inputs in agriculture. Following an agro ecological approach, soil health is a fundamental prerequisite for farming. In this context, crop fertilization management is based on nutrient cycling fostered by soil organic matter (SOM) content and quality rather than on the application of fertilizers as external inputs. SOILapp was co designed with farmers from Greece and Italy responding to their needs for a soil health monitoring tool. 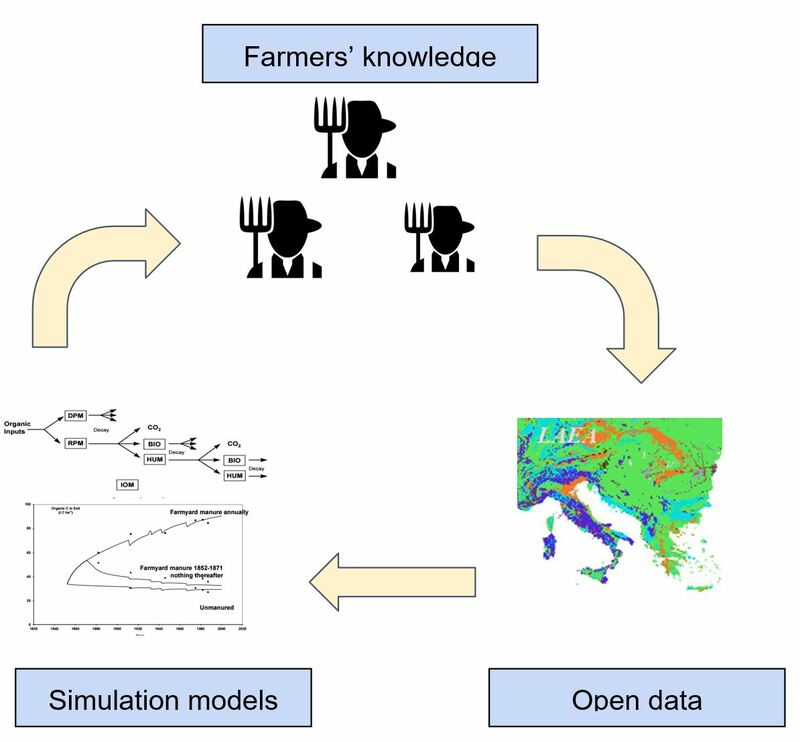 The web-app integrates modelling of experimental data together with participatory assessments by the farmers to forecast the effect of fertilization on soil health and therefore on the sustainability of the production. to compare model results with farmers field experience. (iv) Open data. Input of soil and weather data from available open data sources. In SOILapp, the spade test function will guide the user an easy touch-enabled interface to define the soil features for different layers. At the end, summary results highlighting the positive and negative features are given and shared, eventually adding comments and a short description of farm practices. The SOM modelling function will allow the user to select predefined crops and farming practices, or edit them with specific data. A shortlist of scenarios will be available in the CAPSELLA platform as function demonstrator. Look SOIL HEALTH portal https://soilhealth.capsella.eu/ for testing the demonstrator. For further information contact m.lazzaro@santannapisa.it (Mariateresa Lazzaro, Scuola Sant’Anna Pisa). Download here the soil health pilot postcard.